Must go-through these 5 Points before advertising on MY FM 94.3 Chandigarh. Radio is an integral part of our daily life. 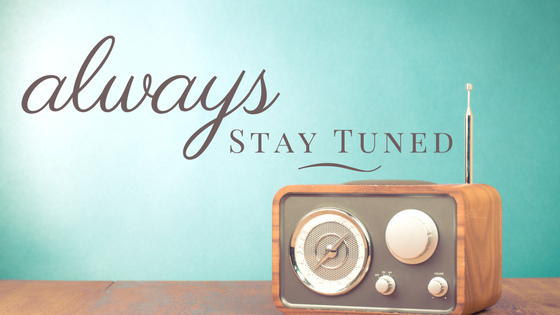 Whether we are driving in our car or just hanging out at home, radio is always involved. Its deep involvement in our daily life makes it one of the most influential advertising platforms for brands across the globe. Radio advertising agencies are seeing a constant uproar in its popularity and its effectiveness to market different products. Radio stations like 94.3 MY FM in Chandigarh have earned a fan following that is hard to imagine. It has raised itself to become one of the most effective and successful advertising and marketing platform. 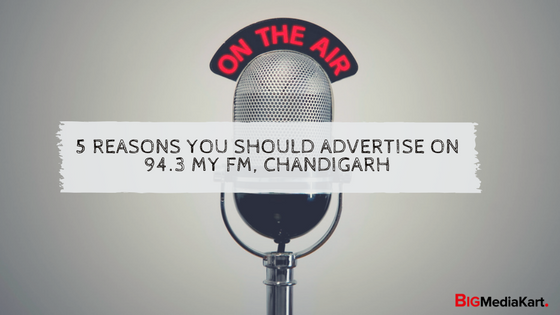 Here are some reasons why you need to advertise on 94.3 MY FM Chandigarh. 1. Massive reach to an extensive crowd. One of the best things about radio advertising is its reach. 94.3 MY FM draws significant numbers of listeners every day, much greater than TV or anything else. This gives brands the opportunity to market their product to a large number of people, at the same time. Any advertisement that you offer on this station is bound to affect your targeted audience and numerous other unconventional sectors of the society. 2. Repetition and frequency for an unignorable presence. MY FM broadcast their Ads several times throughout the day. This constant repetitions and frequency helps to create a lasting impression on the audience and forces them to try out your brand. The repetitive broadcast helps you create an unwavering and persistent brand presence that is crucial to the success of any business. Despite the massive success, MY FM in Chandigarh has still kept their advertising prices significantly low. When you can create such a lasting impression on your targeted audience at such a reasonable rate, why go for anything else! You can easily get weekly or even monthly advertising campaigns to gain your marketing goal. This makes 94.3 MY FM an inexpensive, effective, and robust platform to target your audience and build your brand name. 4. Close contact and interactive advertisement. 94.3 MY FM not only has a massive fan following but a plethora of interactive and loyal listeners. The listeners create a close relationship with the channel and its many on-air personalities, giving brands the perfect opportunity to utilize this relation and influence the listeners. This close contact offers the opportunity to broadcast interactive Ads and guarantees the consumer’s trust and attention. 5. Short Ads for effective results. Long and lengthy Ads have the capacity to bore and irritate people. Ads on 94.3 MY FM are short and effective, just some seconds long. This helps to keep the user happy and satisfied while diverting their attention to the advertised product or services. You can easily avail a 1-week trial offer to Advertise on 94.3 MY FM Radio Chandigarh through Big Media Kart, a premier radio advertising agency in Tricity. This one-week package includes a 10-second, repeated 8 times per day to create an unavoidable brand presence in the listener’s mind. 10 Associate sponsorship tags and free quality voice over will give you the perfect start to your radio advertising experience. MY FM offers you the opportunity to get up close and intimate with your listeners. It allows you to use emotions and feelings to make an impact on your audience. The lower FM radio advertising rates and the higher effectiveness makes 94.3 MY FM one of the most popular and efficient advertising platforms.